This week’s Meet the Maker is not so far removed from the rest of us - like minded Justin Uppole has visited crafts shows and thought, just like most of us, “I can make that!” And he did! That’s how Justin got his start into woodworking, refinishing furniture, making lightposts with landscape timbers and having an interest in the knife kits you can get from the woodworking stores. Justin shared with me his favorite tool which is his phone! He pointed out that if he’s ever stuck and needs help, it’s only a phone call or even a You Tube video away! I agreed with him as he talked about how nice it is to have the community of makers that we have. Before Justin fell into the rabbit hole of turning, he fashioned a bracelet for his wife on the drill press by laminating 1/4 inch thick pieces together and then cutting them with 2 different sizes of hole saws. The necklaces were made of red oak and purple heart, interchanging the parts to create their look. For Jason’s composition of his workplace logo, he created his first hand carved relief piece borrowing from Shou Sugi Ban and burned the background to be able to have the darker finish. The contrasting lighter colors were applied color pencil. We had a chuckle over his live edge camphor bowl when I exclaimed, “My friend Darryl (Dreadknot Woodshop) works with camphor!” Justin laughed and told me Darryl is where he got the camphor! Justin’s other bowl pictured here is ambrosia maple. 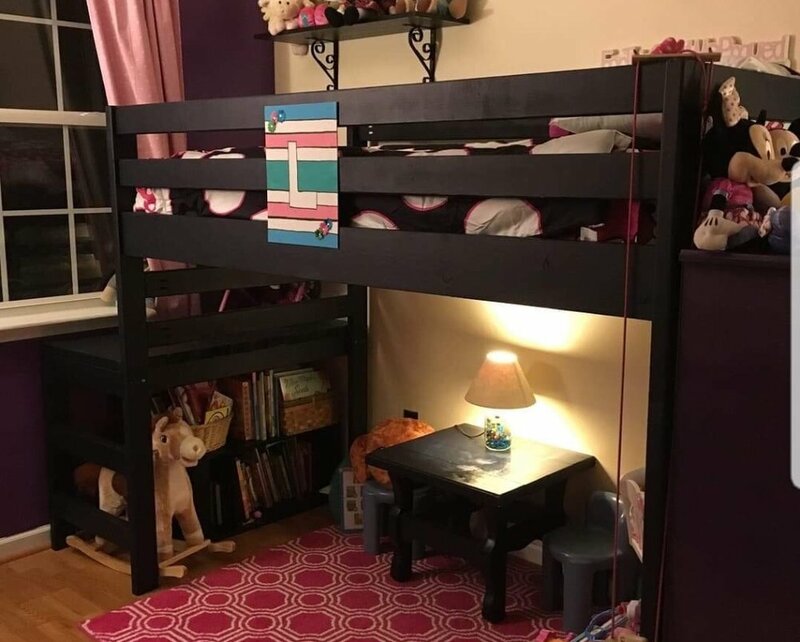 Rome may not have been built in a day, but Justin and his wife Shawn were able to build the bed assembly in that length of time! All the parts were cut and painted in the shop and them joined together in place. For more of Justin’s work, you can find him on instagram at https://www.instagram.com/upwoodworks , You Tube is http://Youtu.be/Efi8HAMKEjE and in the pages of The Southern Woodworkers on Facebook!